In the early 1600s, Hungarian countess Elizabeth Bathory was convicted for the killing and torture of 80 young virgins. According to legend, the countess bathed in their blood to make her skin appear more youthful. 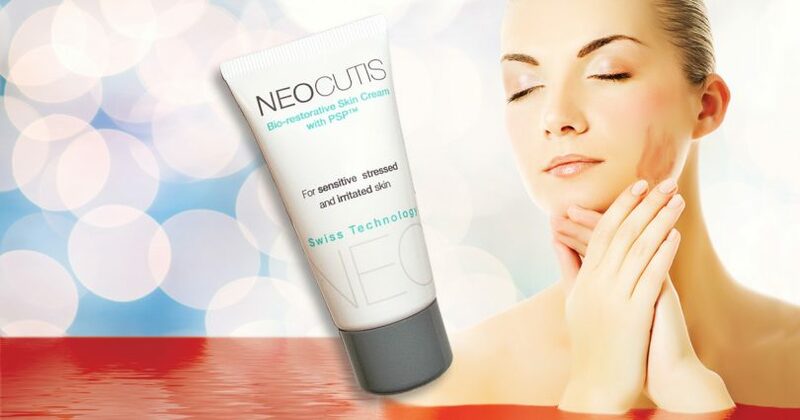 As the news broke, thousands of angry consumers began contacting the company, but unfortunately, they were given jaded, if not patently false responses from Neocutis president Mark Lemko. In an attempt to mollify the public, he stumbled through a series of poorly worded responses that can be readily refuted. For starters, Lemko stated that there was “only one abortion,” that the material was from a baby that “could not come to term” and “the mother’s life was, in fact, in danger.” Perhaps Lemko didn’t count on the public actually checking into the sordid details. Yet Neocutis told the Washington Times that the abortion used to provide the fetal material for its products was not done until 2004. Clearly, if it had to protect its “proprietary technology,” it was already working with multiple sources of aborted fetal material prior to perfecting the final cell line that it ultimately used in 2004. Such distortion is nothing new for Children of God for Life, which has been working for 10 years to expose the truth about use of aborted fetal material in vaccines and other medical products. Pharmaceutical giant Merck used the same rationale as Neocutis when it stated that its vaccine material was taken from one abortion in the 1960s. What it failed to disclose, just as Neocutis did, is the fact that prior to perfecting that final cell line, the production of the rubella vaccine alone entailed over 80 abortions, as if one abortion alone wasn’t already horrendous enough. Neocutis’ own explanation of the details involved in that final abortion conflicts with what is reported by University of Lausanne researchers and published in Experimental Gerontology, Volume 44, Issue 3 of 2009. What the article states is that the fetal material was obtained from a 14-weeks-gestation male baby “after pregnancy termination with informed and written consent.” Further, the report dedicates an entire section to the “ethical aspects of working with human fetal cells,” in which the researchers lament that the Reagan administration banned federal funding of aborted fetal tissue research. The researchers make a futile attempt to sanitize what they were doing by touting the research value of fetal tissue and its marvelous healing qualities for burn victims. They also note resentfully that “there will always be strong opponents which will interfere” with laws concerning abortion and the availability of fetal tissue for research. Without question, it is certain that if the abortion they described were deemed medically necessary (which is never the case, but often falsely claimed), it would have been documented as such in that report. It is also highly unlikely that if there were something medically wrong with the baby, his remains would have been suitable for use in any sort of medical or cosmetic applications. In a desperate attempt to minimize its notorious activity, Neocutis told the Washington Times that “a piece of skin the size of a postage stamp” was used to produce its cell line. But based on the size of a 14- weeks-gestation baby, that’s about the size of the entire baby’s back. If someone rejects every form of voluntary abortion of human fetuses, would such a person not contradict himself/herself by allowing the use of these vaccines of live attenuated viruses on their children? Therefore, whoever regardless of the category to which he belongs cooperates in some way, sharing its intention, to the performance of a voluntary abortion with the aim of producing the above-mentioned vaccines, participates, in actuality, in the same moral evil as the person who has performed that abortion. Without question, Neocutis is directly complicit in the moral evil of abortion because it was most certainly its intention to use aborted fetal material to produce skin creams. Therefore, it needs to be stated that there is a duty to refuse to use such “biological material” even when there is no close connection between the researcher and the actions of those who performed … the abortion, or when there was no prior agreement with the centers in which the [abortion] took place (35). Now, what do you suppose the Vatican would say about using these cosmetic creams? As of the writing of this article, Children of God for Life is inviting cosmetic companies to step forward and certify that their products are morally produced. If so, Children of God for Life will happily help to promote them. Along with American Life League, it will keep you posted on the latest news. Stay tuned! Debi Vinnedge is executive director of Children of God for Life (an American Life League Associate group) and recipient of the Catholic Medical Association’s 2014 Evangelium Vitae Award for her work to end the manufacture and use of vaccines derived from aborted babies.